Now you can enjoy all your Music and Movies Outdoors. New technology enables the same quality outside, as we can offer inside the home. Sit in the Pool or Hot tub and watch a movie or move the party outside! Feel like dancing in the rain? 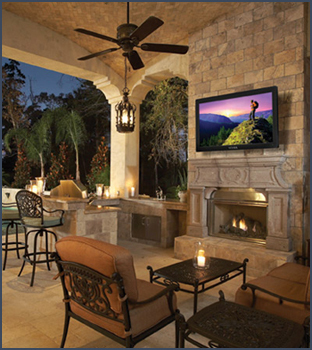 We create weatherproof audio solutions that let you enjoy the outdoors. Deck parties, sailing lessons, garden soundscapes. Get inspired everywhere.